Tried it out for the first time, and it's not hard! This is the stuff used for profiteroles, chocolate eclairs and the dreadfully decadent croquembouche. You make it rather like hot-water crust pastry for raised pies. Place water and butter in a saucepan and bring to a boil, remove from the heat and dump in the flour all at once. Mix until you have a dough that just begins to pull away from the sides of the pan, then mix in the beaten eggs. Spoon or squeeze from a forcing bag onto the baking tray. Bake for 10 minutes at 400ºF on the top shelf, then increase temperature to 425ºF for 15-20 minutes. When browned, take out, place on cooling rack and pierce each with a toothpick to let out the steam. They should be crunchy on the outside and soft and custardy on the inside (not like the soggy cardboard of bought versions). When cool, cut in half and fill as desired. Interesting! They look delicious! I never thought to do something like that with them. Whenever we have a "bring a dish" type of event to go to I always bring a version of them. As you wrote, super easy and everyone thinks that I spent hours making them. For those events I've been known to fill with chocolate filling, lemon curd, or make a homemade melted cheese filling that solidifies inside. Of course they can also be filled with vanilla pastry filling like an eclair or a cream puff. There is a French version that includes cheese in the dough (gougere, sp? ), great for breakfast or a fast lunch. Something that reminds me of choux, but isn't choux, is a "Dutch baby" pancake. 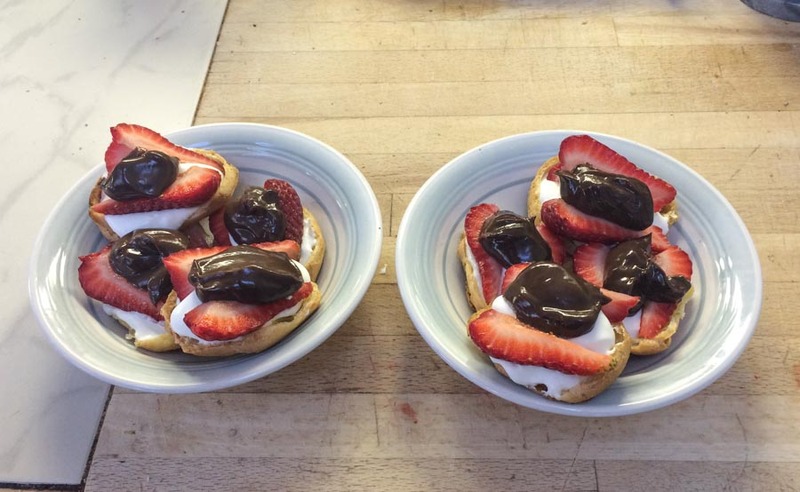 It's even easier to make than choux IMO. My wife loves to bake. I'm going to see if I can recruit her to "help" me make some of these. You had me at chocolate eclairs! The difference between gougere and cream puffs is that the eclairs are piped into a log shape. 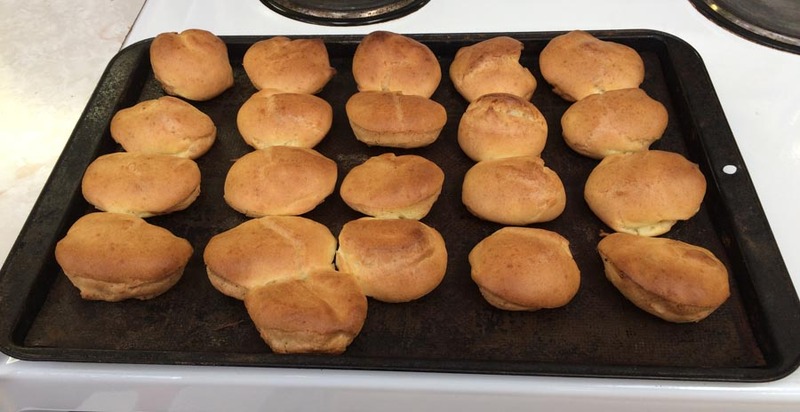 If you don't have the ability to pipe the dough ( a baggie with a corner cut out will do), cream puffs can be made identical in taste to an eclair (different shape). 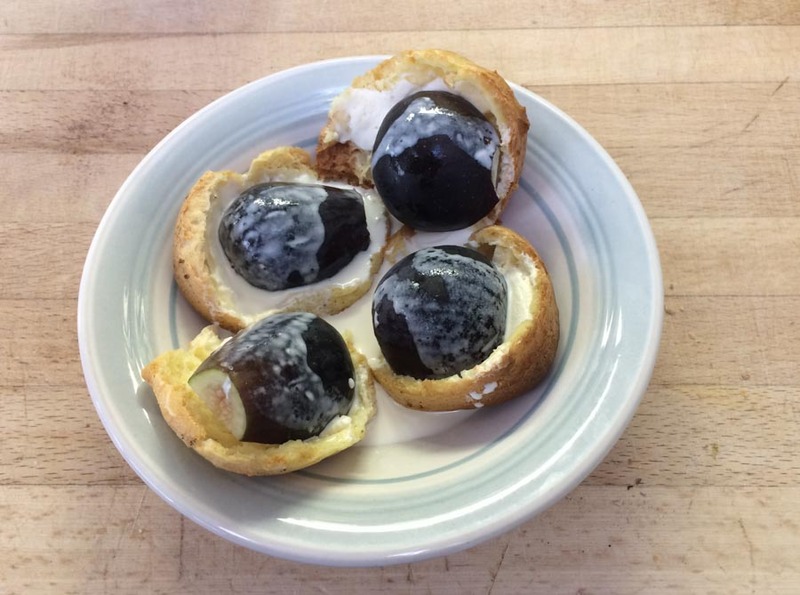 Cream puffs only require a spoon to make the shape.